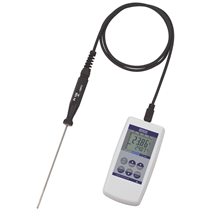 The model CTH6200 hand-held thermometer is suitable for all precise temperature measurement tasks and impresses with its simple operation. Its design makes it especially suitable for the commissioning, maintenance and service/calibration of temperature instruments and equipment. 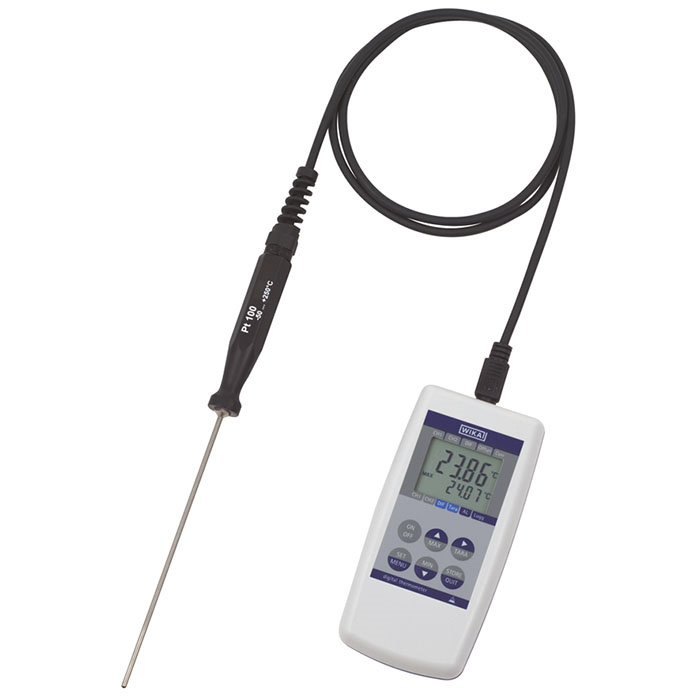 The digital indicator is the central functional unit of the hand-held temperature measuring instrument and provides the option to connect Pt100 temperature probes of the CTP62x0 series. Both immersion and penetration probes are available from stock, along with an extensive range of accessories. Customer-specific probes are available on request. An integrated data logger and various other functions (such as Min, Max, Hold or Alarm) ensure that the hand-held thermometer can be used for many different applications. Its simple operation, very handy design and low weight round off the convenience of this hand-held temperature measuring instrument. For the secure transportation and storage of the instrument and accessories, a rugged service case is available as a sensible addition. The service case can carry up to two model CTH6200 digital indicators and several temperature probes, or the case is available with a model CPH6200 hand-held pressure indicator as well.